Tech giants are turning their gaze to a growing market. Older adults are looking for ways to age in place, and Google wants to be an integral part of the solution. Alphabet, the parent company of Google, has been talking with senior living homes a lot lately while pitching its Nest home automation products. Chief Technology Officer Yoky Matsuoka is on tap to speak at the largest senior housing conference in the country this fall. You may wonder what a product pitched to senior living homes can do for older adults aging in place. Quite a lot, as it turns out. Google purchased Nest, originally a doorbell and camera system that allows the user to see who’s outside, back in 2014. Recently, it folded the company into its technology division as researchers explore other uses for the devices. Google has already speculated that Nest cameras placed indoors have the potential to notify users moving around a lot in hot weather that they might be at risk of dehydration, or employ motion sensors to turn lights on automatically when someone gets up at night to use the bathroom. Fall prediction is not a perfect science now, but Google is also working on having sensors throughout the home track movement to anticipate a tumble and prevent it. Apart from Google, several smart camera startups that hadn’t considered marketing to older adults are beginning to see the possibilities. Researchers in the field think that’s promising, because studies show that older adults tend to shun products that are targeted specifically to their age group, preferring mainstream products that they can use with ease. Check out Cherry cameras with sensors and video feed. Seniors may consider installation and setup to be the biggest obstacles to smart home system adoption. Using the system may be easy, but the headache of syncing devices and getting new ones up and running may be more than they, or their family members, want to tackle. Enter Geek Squad, the Best Buy tech assistants that can make your life a whole lot easier. You can start by having an “agent” come out to your home for free to assess what you want and need, and determine if current devices will pair with your new ones. Geek Squad members can troubleshoot, upgrade your Wi-Fi, suggest additions to your home system and make the whole thing work without you ever having to lift a finger. They’ll even do the shopping for you! The service does come with a fee. Currently, they’ll install any smart home device for $99.99. Total Tech Support membership supports all of your smart home devices—no matter where or when you bought them—for $199.99 a year. Members pay only $49.99 per device install, and Best Buy is currently running a special on select Nest products at a discounted rate of $24.99. Don’t let the fear of setup keep you from using tech devices that can keep you, or someone you love, safer and happier. The Nest family of products currently includes doorbells, thermostats, cameras, alarm systems, locks and an alarm that detects both smoke and carbon monoxide. Nest doorbells can alert a user that someone is at the door, so a package is never missed. Facial recognition can program the door to unlock for Meals on Wheels, caregivers and family members, but keep out strangers. The Nest thermostat notices when you’ve left in a hurry, and turns the lights off for you. As you add products to the Nest system, they’ll “start to notice each other, learn from one another, and help you out—all on their own,” according to the website. Google is doubtless feeling the hot breath of Amazon at its neck. Amazon’s smart home security system, Ring, competes with Nest, and at a lower price point. Google would like Nest to be first into the senior market to solidify a position ahead of Amazon. More than a million Americans live in assisted-living housing today, and that number is expected to double to 2 million in only 12 years as baby boomers continue to age. It’s not hard to imagine the uses for technology in assisted living, especially when you take voice assistants into account. Google’s voice assistant technology integrates with Nest. Currently, you can tell Google Home “Good morning” and hear the weather while lights and radio turn on and your smart thermostat bumps up the temperature indoors. The Google Home assistant can turn a timer on and off, make free calls to contacts in the U.S. and Canada, add items to your grocery list and remind you about your dentist appointment. She can also tell you a story, make calculations, read a book, play music or provide a recipe. 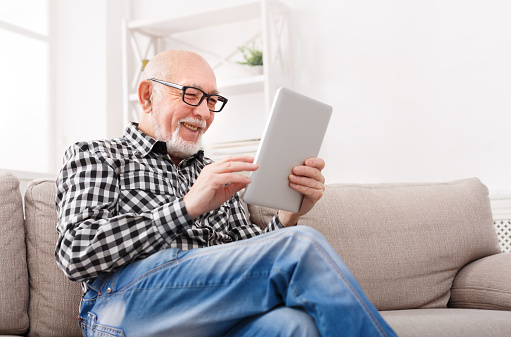 Voice technology is a boon to seniors with limited mobility and/or sight who may rely on assisted living, but it can also enhance the lives of older adults living at home and help them stay there longer. A voice assistant paired with cameras can notify a caregiver or family if no motion has been detected for a long time, or allow them to check in via the camera system. Experts note that Google’s talks with professionals in aging have been gearing up. Matsuoka will be a featured speaker at the National Investment Center for Seniors Housing & Care conference, to be held in Chicago this October, speaking about the challenges of building technology that seamlessly blends into the lives of older adults. It’s impossible to know what Google has on the drawing boards for a decade or two down the road. While robots aren’t part of the equation now, it’s not hard to imagine them on the horizon. In the meantime, Google will continue to feather its Nest. Health - Can Dieting Make You Fatter? Can Dieting Make You Fatter?